Dance as a convict … or a governor! This special Australia Day Dance will feature easy dances to encourage newcomers and introduce them to what we do. All the dances will be taught and called. Everyone is welcome! 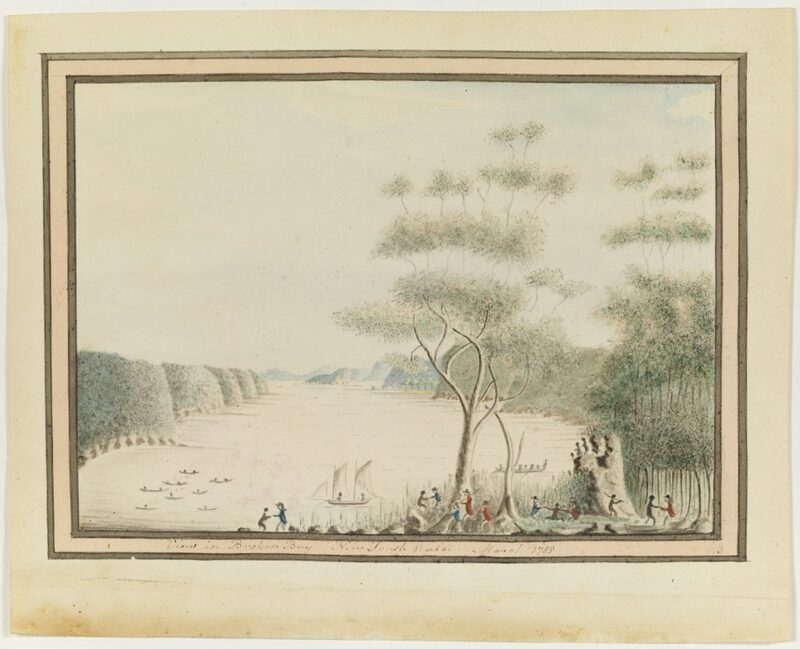 Detail showing dancing from Bradley’s View in Broken Bay 1788. English Country Dancing is joyous, lively movement to elegant music in a friendly, informal setting. The figures are simple, and each dance is taught and walked through. It is the most social and democratic of dance forms. Come along to our dance in the air-conditioned Samford Farmers Hall and try it yourself! New dancers are always welcome. Come alone or with a friend. Hello Janis, I’ll post them as soon as we’ve confirmed the dates. Thanks for your interest. Classes prior to the ball are arranged for 7th, 14th, 28th September & 5th October.